Madhya Pradesh is one of the largest states of central India. Bhopal is the capital of Madhya Pradesh. It is also known as ‘Heart of India’. It has numbers of state universities & private universities and Institutions in which one can pursue the postgraduate MBA course. The literacy rate of the state is around 70.6 percent. 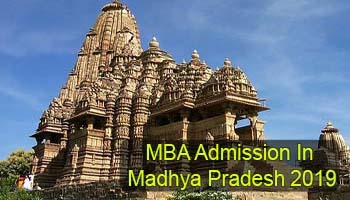 In this article we have mentioned the complete information about MBA admission in Madhya Pradesh 2019. 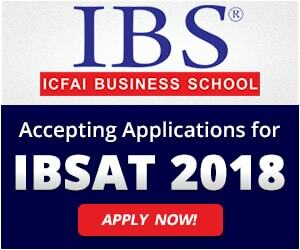 Candidates can get admission in top management colleges such as Indian Institute of Management (IIMs) through national level entrance exams for MBA. Numbers of colleges and institutions accept the score card of these exams to offer admission in their campuses. Candidates can appear in the entrance exam and get admission in management courses. Candidates can also get admission in IIM, Indore through entrance tests. The admission into Indian Institute of Management, Indore will be done through national level CAT (Common Admission Test) entrance test. The candidates those wishing to get admission in other management institutions can appear in XAT 2019, MAT 2019, ATMA 2019, CMAT 2019 and many other national level entrance exams. 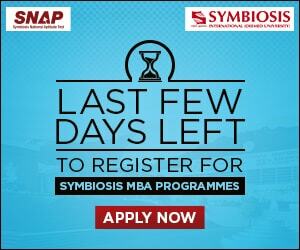 Some of the top MBA colleges in Madhya Pradesh are Indian Institute of Management (IIM) Indore, Amity University, ITM School of Business, Prestige Institute of Management and Research and many others. For admission in various government and private institutions of the state, the candidate must fulfill the eligibility criteria given below. Without fulfilling these eligibilities no candidate can get admission in MBA colleges in the state. Applying candidate must be the Indian citizen. Candidate must have completed their graduation in any stream from a recognized university or institution. It is necessary to score minimum of 50% (45% for SC/ST category candidates) in the qualifying degree. Candidates those will clear the MBA entrance exam will be shortlisted for the admission rounds. The candidates will be called for the counselling rank-wise. During the counselling, candidates have to opt their choices for the colleges and the branch they are seeking for. The seats are allotted after the group discussion and personal interview (GD & PI) rounds. On the basis of secured rank, availability of seats in the colleges, and the preferred choices of the candidates the authority will offer the seats to the candidates. After seat allotment process, candidates have to report to the allotted colleges with all necessary documents at admission center. If you have other queries about MBA Admission in Madhya Pradesh 2019, you can write us in the comment box given below. Is admit card of entrance neccessary? I have score card of ATMA FEB 2018 But lost my admit card what to do?